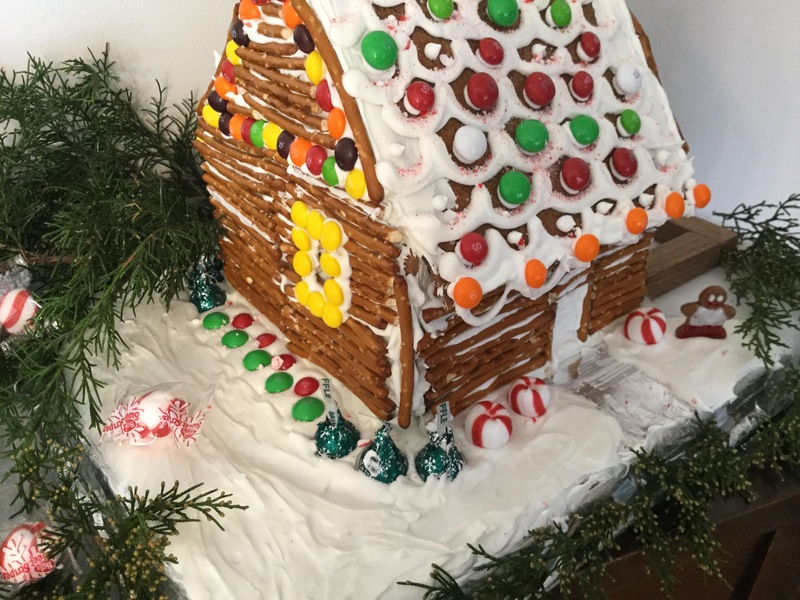 We had a delightful day that made a mess, icing was stuck all over the counter,candy added even more color, sticky fingers and happy laughter. Here’s what we come up with. 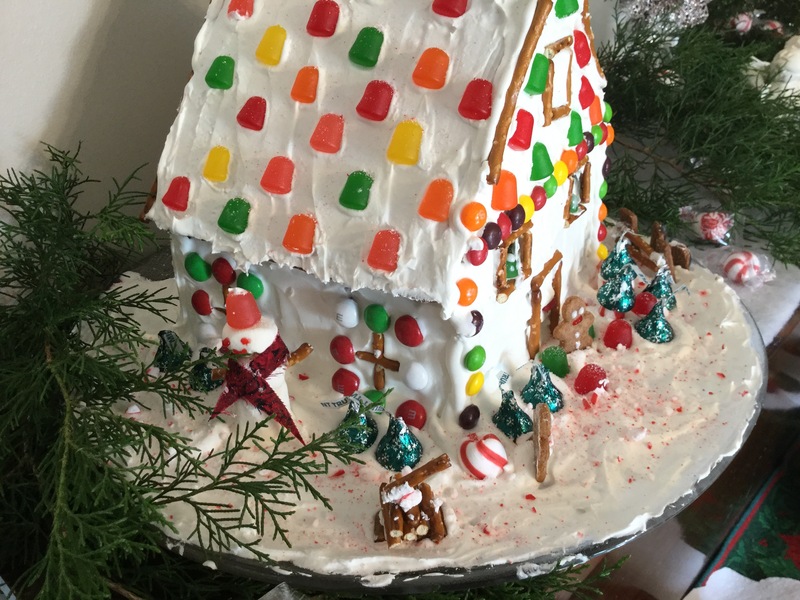 The houses are lopsided,icing run where it shouldn’t have ,they are so imperfect but we love them! 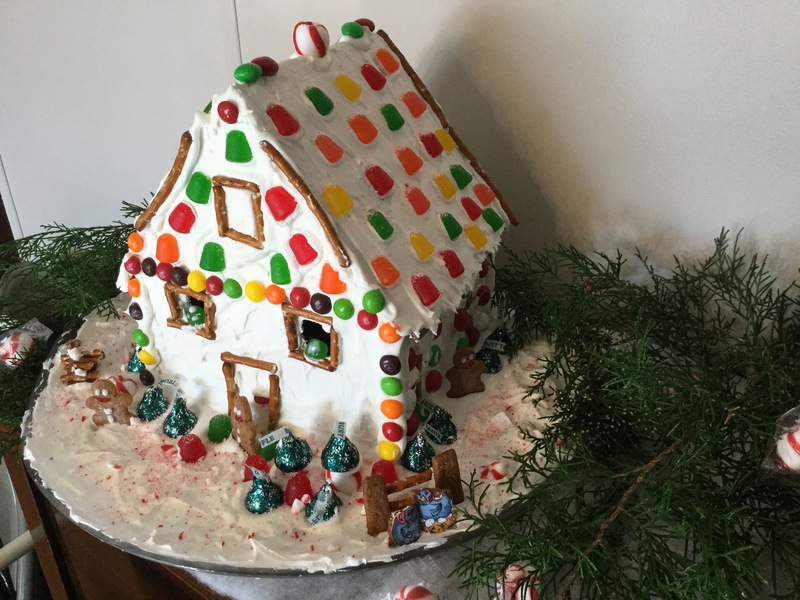 This entry was posted in Christmas baking, Uncategorized and tagged Baking, gingerbread, houses on December 18, 2016 by Deb. 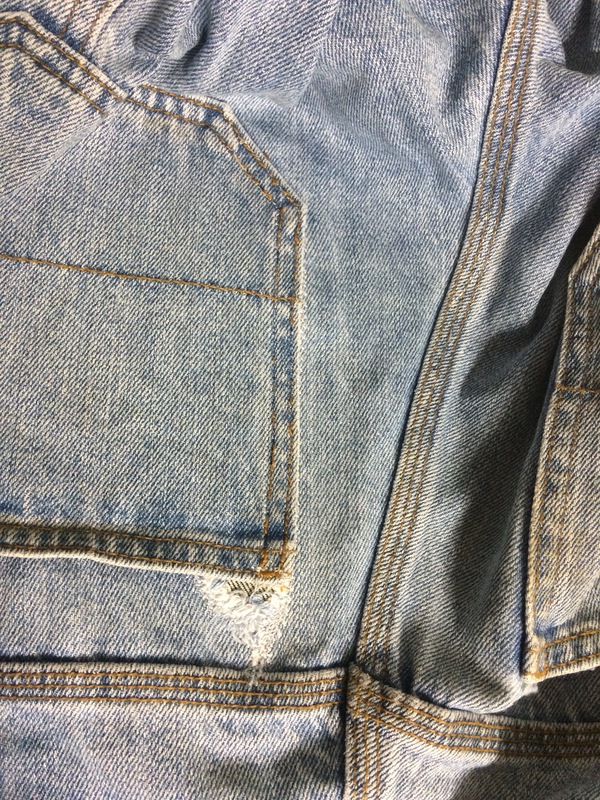 My son has this problem of tearing his denim jeans right by the pocket ,it is always on the right side. I think it must be the wallet pocket. Here is how I fix them.. 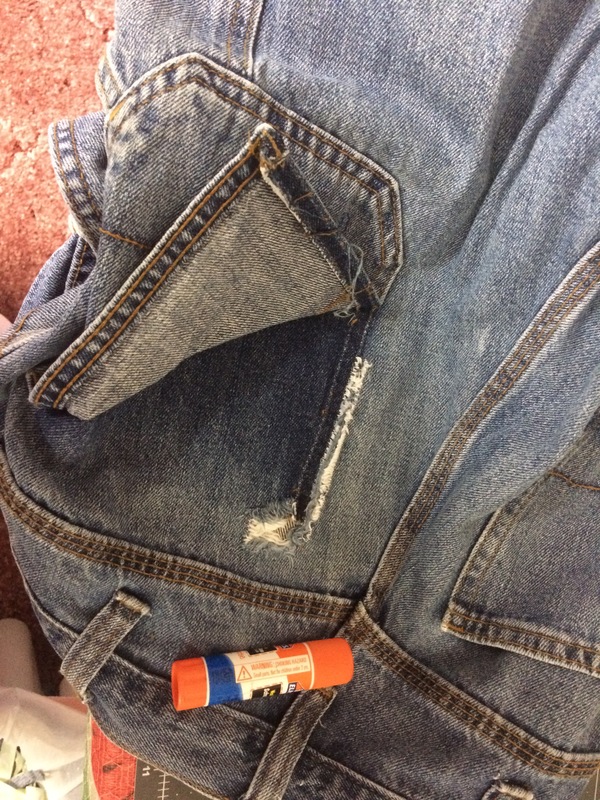 I cut a strip of denim from old pants or denim fabric scraps,then glue the strip to the back side of torn jeans. 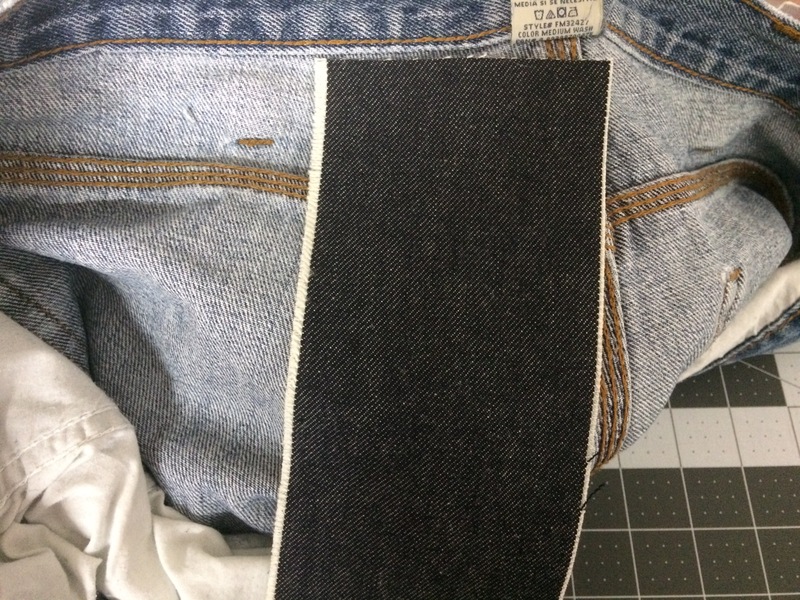 I used the lighter side of denim strip for the jeans are faded. 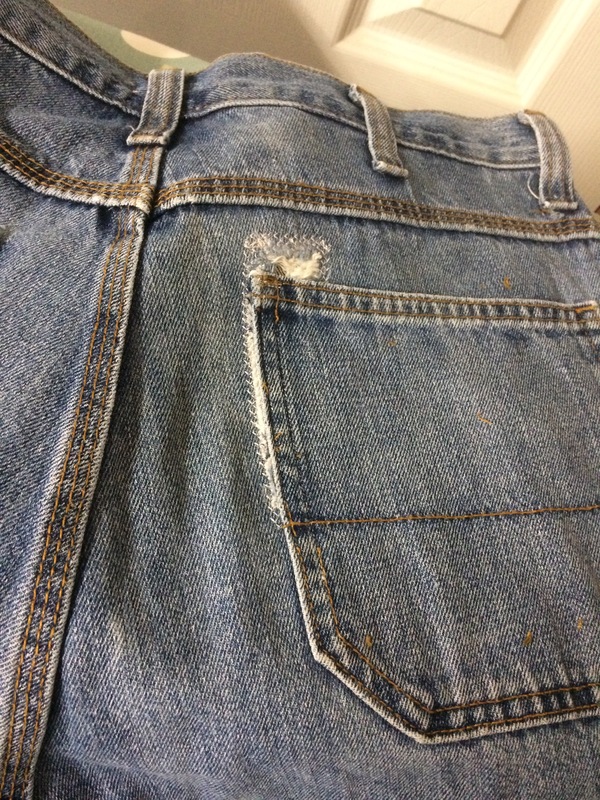 I rip the seam of the pocket down to where you can put the tear together as much as you can. Glue the fabric to the strip well,you don’t want the strip to move on you…wait a bit for the glue to dry. I usually start to work on another pair of jeans with the same problem. Then you sew ,I usually use a stitch that won’t let the fabric fray . 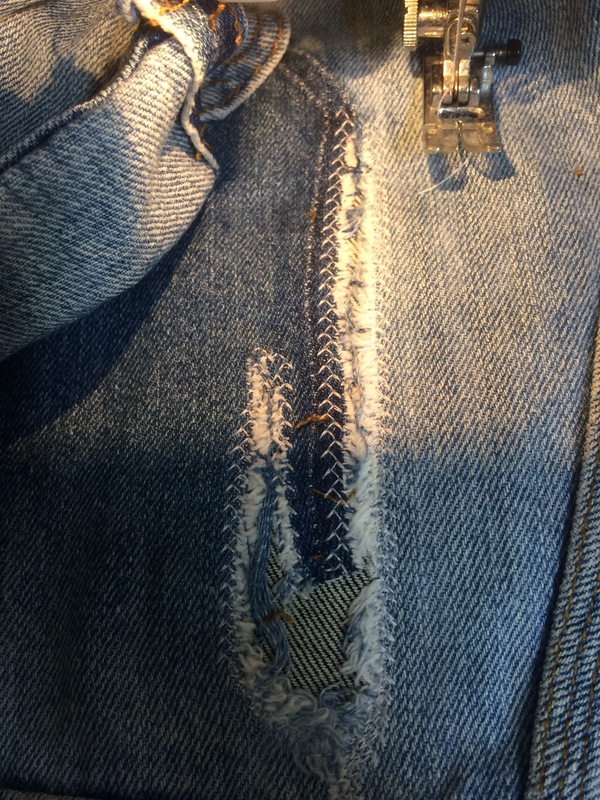 After repairing the tear,place the pocket of jean down,and sew it in place . Ta da… your done! Two pairs of pants ready to be wore again. 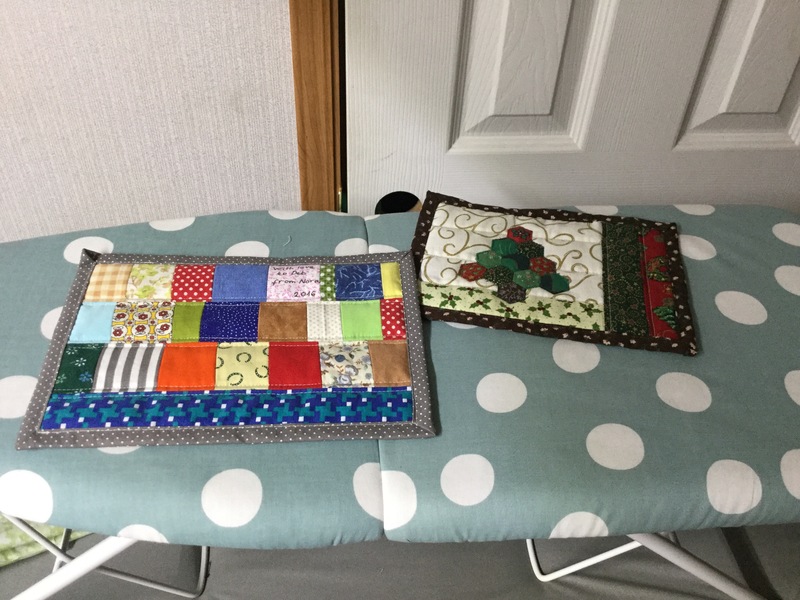 I received these beautiful mug rugs from a blogging friend. It took them close to a month for them to go from Hungary to the USA. I was beginning to think that they were lost by postal service,when I was pleasantly surprised by them this week!! I love them! The backs…. aren’t they delightful!! And yes,I’m slowly getting cookies made for Christmas. Today I made the special ones that my Grammy Tress made. I look forward to making these special cookies , they bring back warm memories. 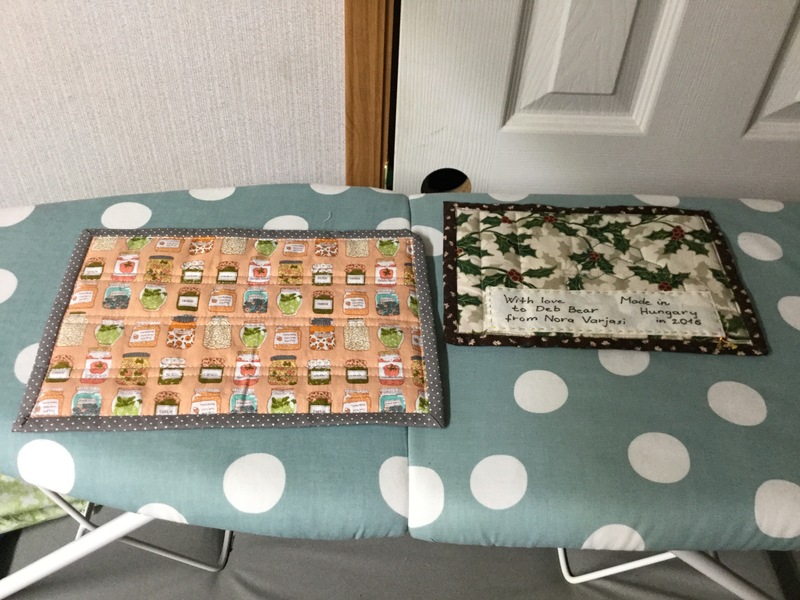 This entry was posted in Christmas baking, sewing, Uncategorized and tagged Cookies, mug rugs, torn jeans on December 16, 2016 by Deb. 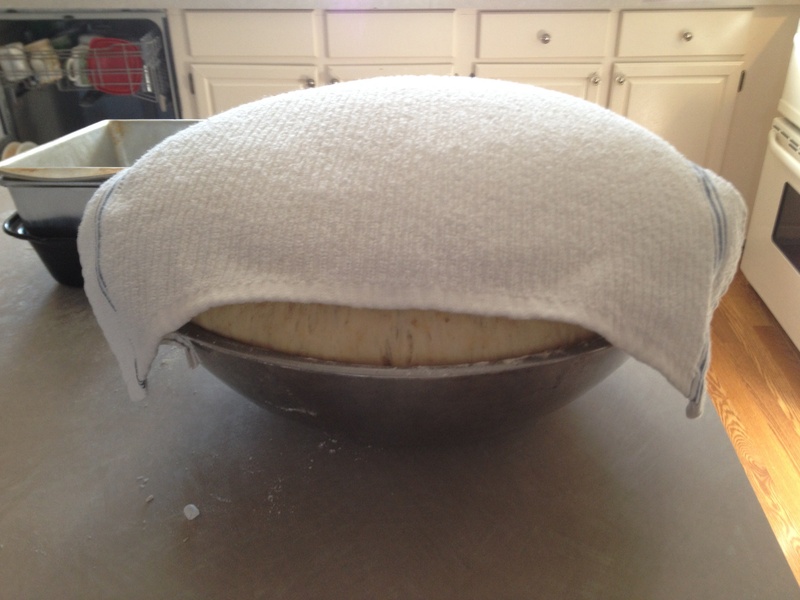 I love to make bread. I love the way it adds a lovely smell to the kitchen, but most of all I love to watch the family totally enjoy the warm bread. They eat it with such delight, that always warms this cook’s heart. 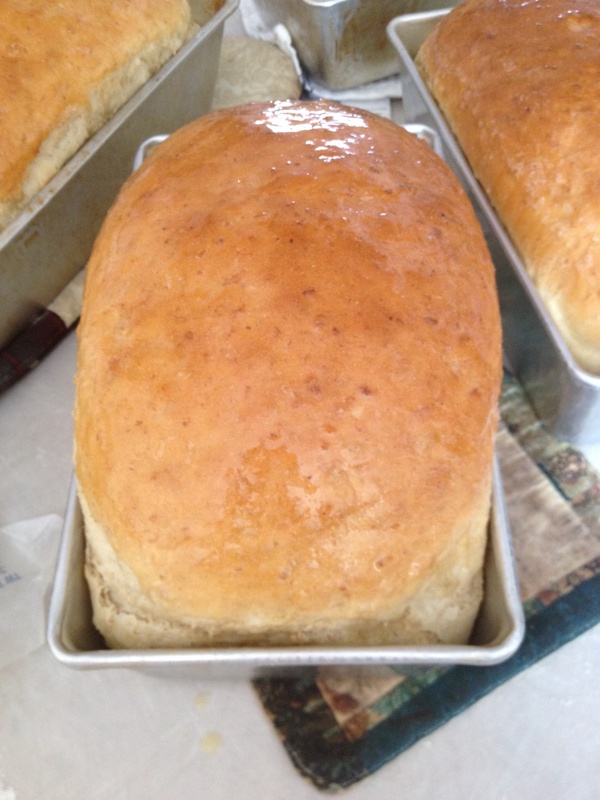 I make an oatmeal bread for it holds the moisture in the bread longer. .Dissolve yeast in the warm water. Add sugar, oil, salt,and 3 cups of flour , all the oatmeal , then mix well. 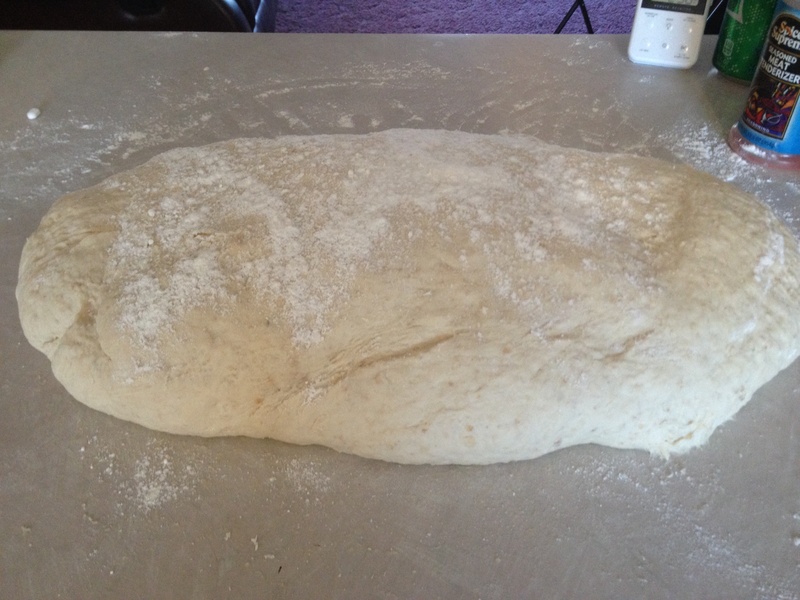 Finish out using the rest of the flour in the kneading of the dough. 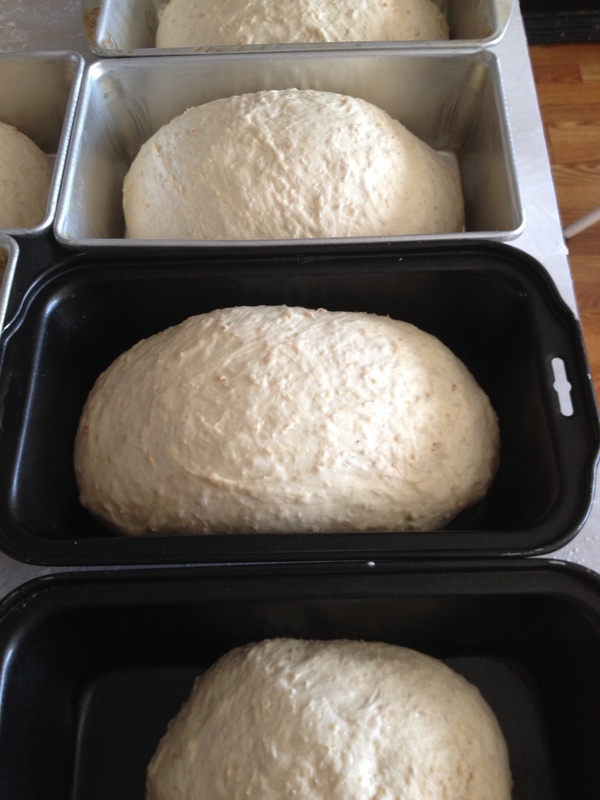 Let rise for an hour, shape into loaves . Again let it raise until double. Bake at 350 for 25 – 30 mins. Bread raising ready to be made into loaves. Bread ready to be removed from pans. I use butter on tops and sides for added softness to the crust. 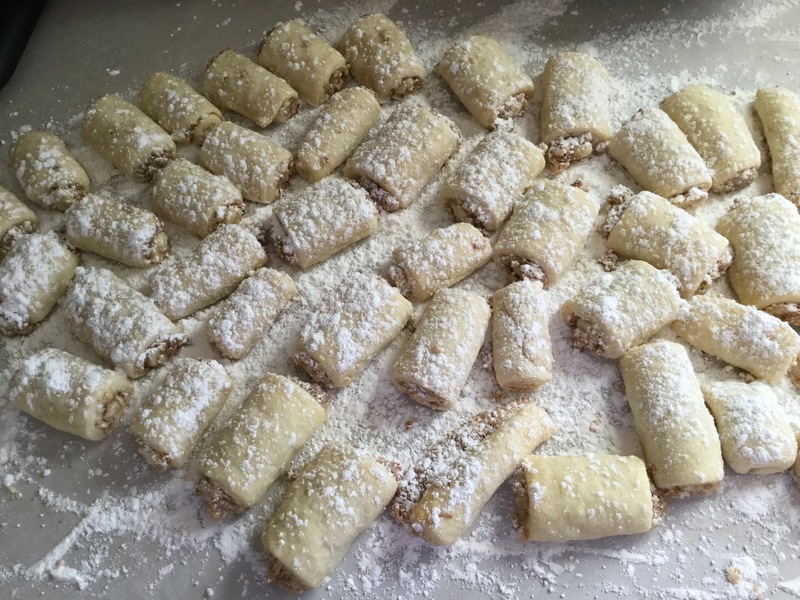 The mincemeat cookies that I posted about last week were a “hit” among the family! 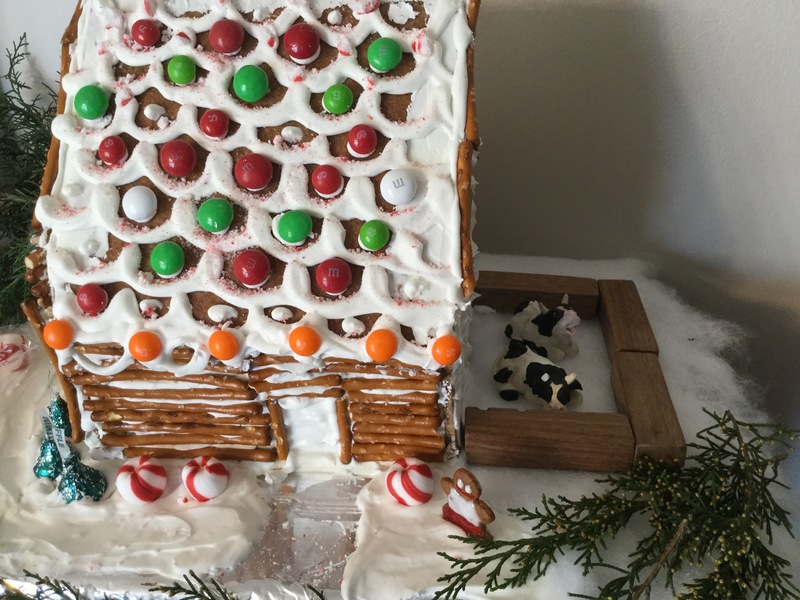 This entry was posted in Christmas baking and tagged Baking, bread making, Cookies on December 22, 2014 by Deb. A post from A hundred years ago wrote a article on mincemeat . 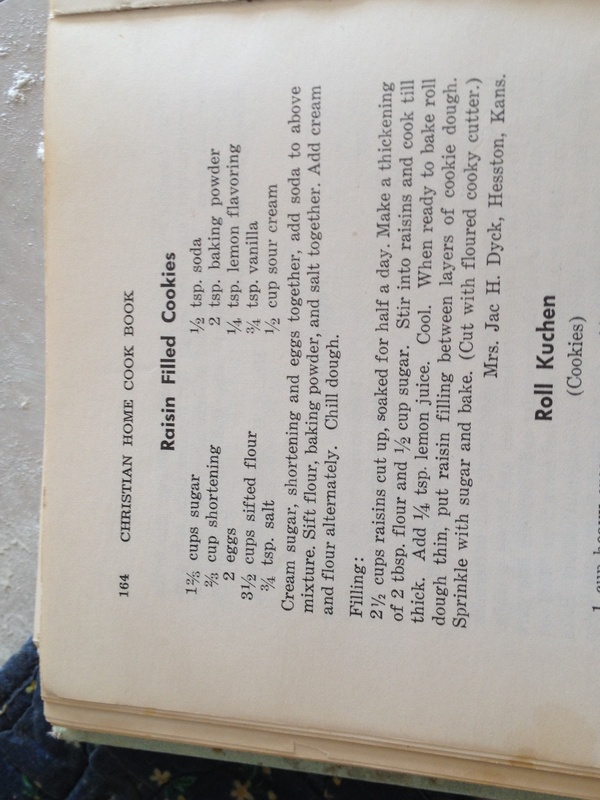 It was made mention that mincemeat filling was also used in cookies! 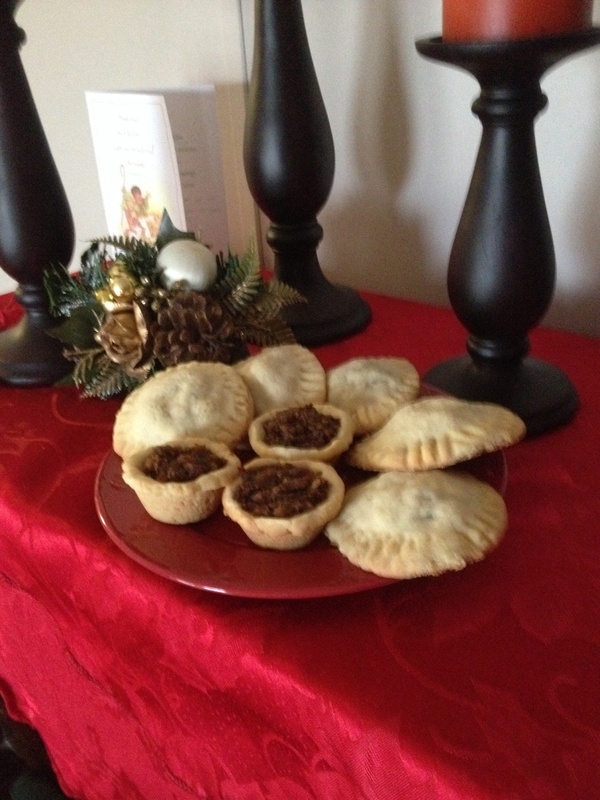 Now I love mincemeat, but Grandma just used it in pies. She made wonderful pies. I loved to pull up a stool to the counter, and watch her bake or cook. That’s where I learned that you scraped the bowls clean for it was wasteful not too. I decided to make a batch of mincemeat ,then make some cookies using the mincemeat filling instead of a raisin filling. 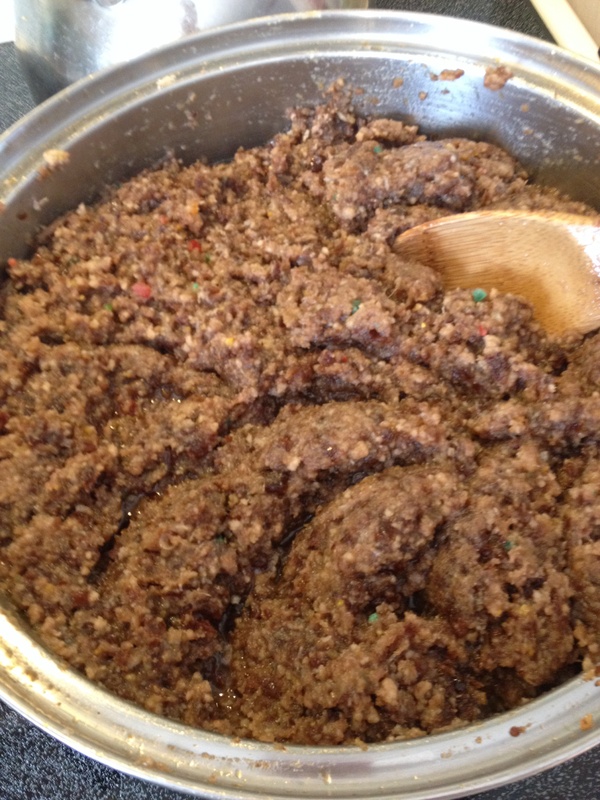 I have the mincemeat in the frig setting a few days so the spices mix well into the meat. 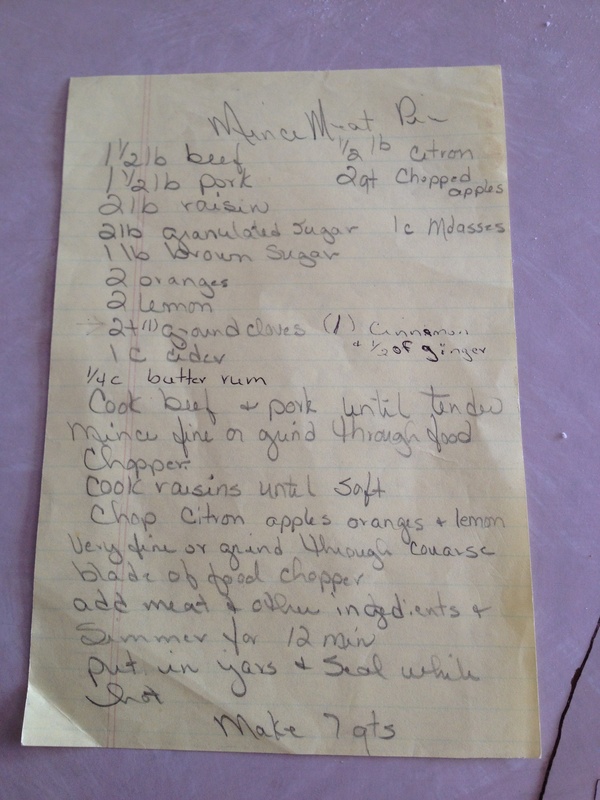 I would like to share my recipe that is great grandma’s recipe. I cook the meat without salt for several hrs. It doesn’t have to be real tender for it needs to be ground. 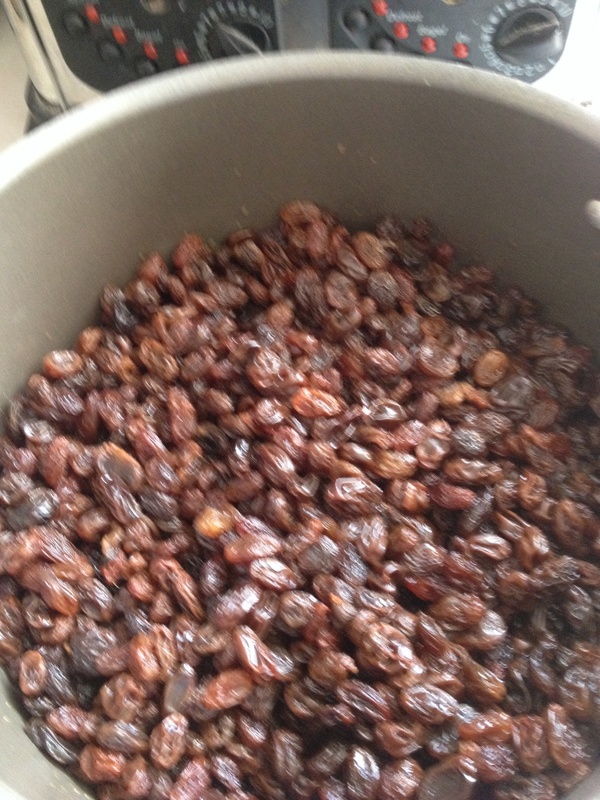 while the meat is cooking I soak the raisins in a little water … Just enough water that you can see it in the bowl. About 3/4 of the raisins are covered! Then I put oranges , lemons, apples and citron in the blender, along with the cider, if I don’t have cider ,I just use 1 1/2 cup of applesauce.i also tweaked the recipe a little and add a fourth cup of butter rum. 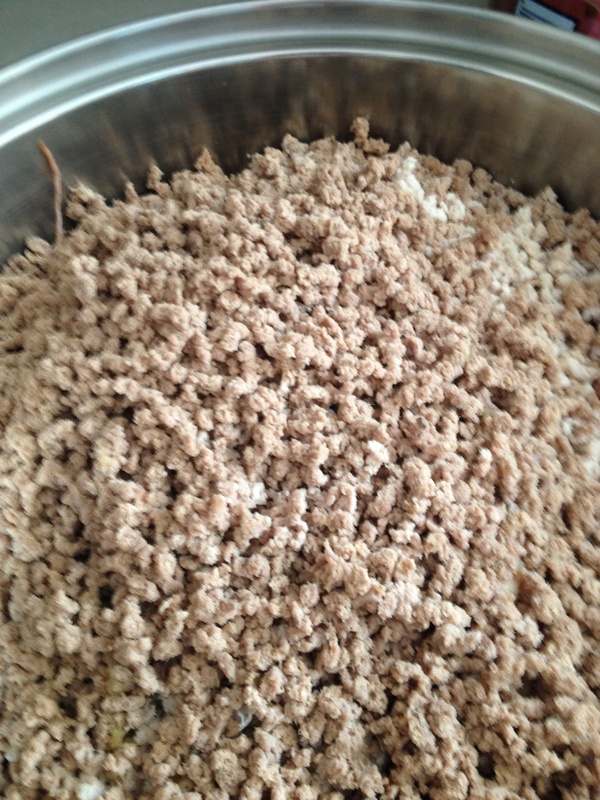 When the meat is done , I then chunk up the meat for grinding. 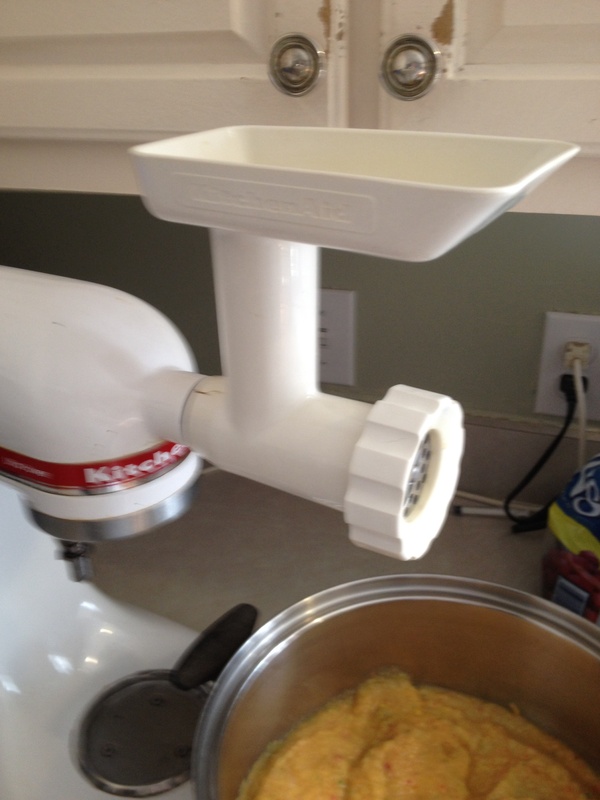 The kitchen aid grinder attachment works good for me. 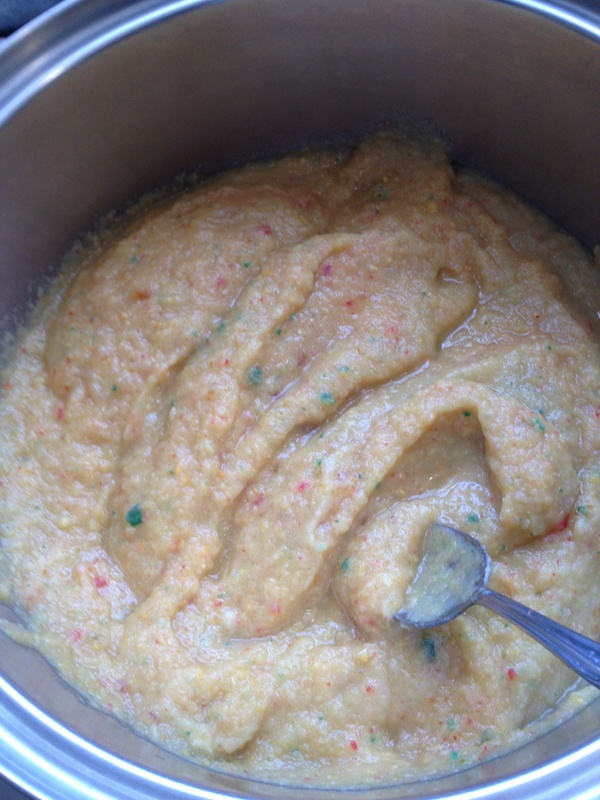 i grind the meat into the large kettle that I put the blended fruit. After I run the meat though then I do the raisins. spices are then added with the molasses and sugar. Once again I tweaked the spices. I like the cinnamon and a little ginger in it. Mix well and put on stove to cook. Here is the recipe for the dough that I will make next week. 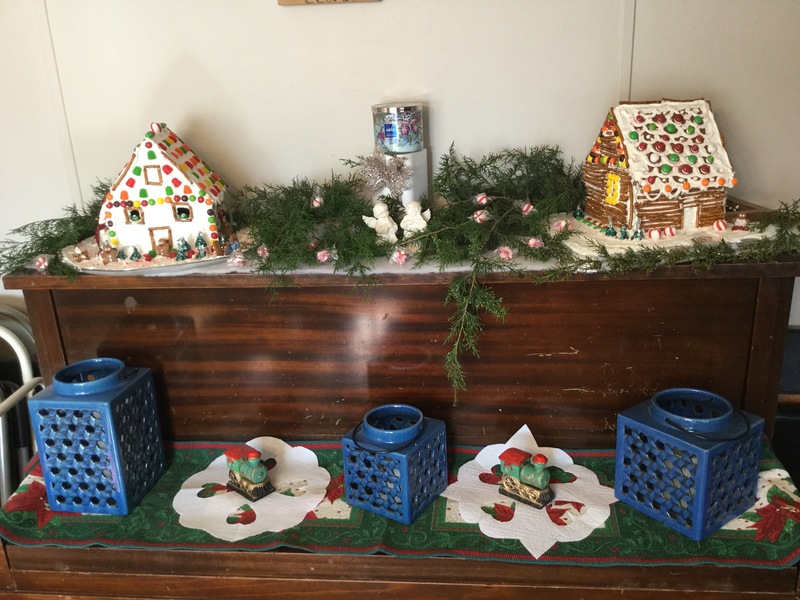 This entry was posted in Christmas baking and tagged Baking, Cookies, mincemeat on December 14, 2014 by Deb.